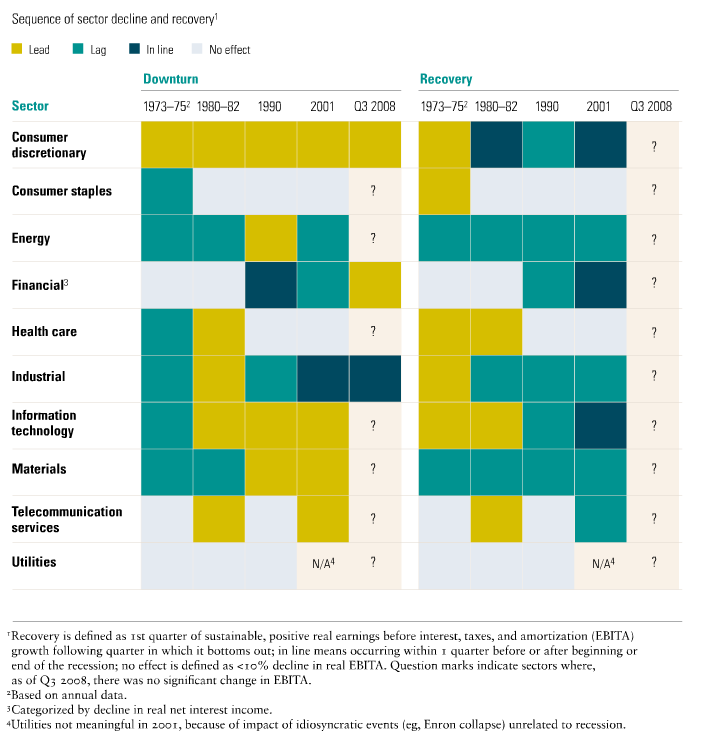 McKinsey did an interesting analysis of which sectors either lead or lagged in both the decline and eventual recovery from a recession. As you might imagine (especially with this current recession) the speed that companies declined going in was much faster than they experienced coming out during the recovery. The report notes that history suggests some possible indicators of the beginning of a recovery. 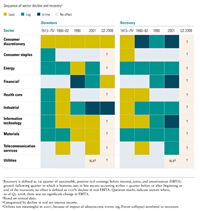 “In three of the four most recent recessions, higher consumer discretionary and IT spending led the way. When real EBITA growth resumes in these sectors, it may be a useful indication that the economy is turning around.” We will keep an eye on these sectors!